Click here to download the ARC Programs and Services brochure! To provide the residents of the south Bartow County area access to county resources, education, information and services. To improve the quality of life for all of the south Bartow area through partnerships and collaboration between government, businesses, churches and the community. The ARC works with the South Bartow Community to provide certain direct services to residents of Bartow County. 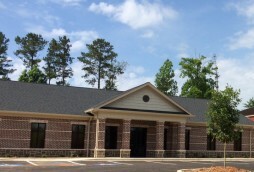 The Center also serves as a source of information and referral for available programs and services from various other agencies.You must be a Bartow County Resident and most programs and services have additional restrictions and qualifications that must be met in order to receive assistance. The ARC also serves as a Community Advocate working with the business community, non-profits, civic groups and others to raise awareness throughout Bartow County of the needs and concerns of the South Bartow community. Baby Products — Diapers, infant formula, etc. Emergency Food Pantry (SNAP / USDA) — Working with families in immediate need of food. SNAP for families with children and USDA food. Nutrition Site Frozen Meal Program — (Senior Citizens) Eligible clients receive five (5) frozen meals, bread, juice, condiments and snacks. Medical Assistance — Assistance with doctor visits. Needy Meds Program — Assistance with Patient Assistance Programs from pharmaceutical companies.